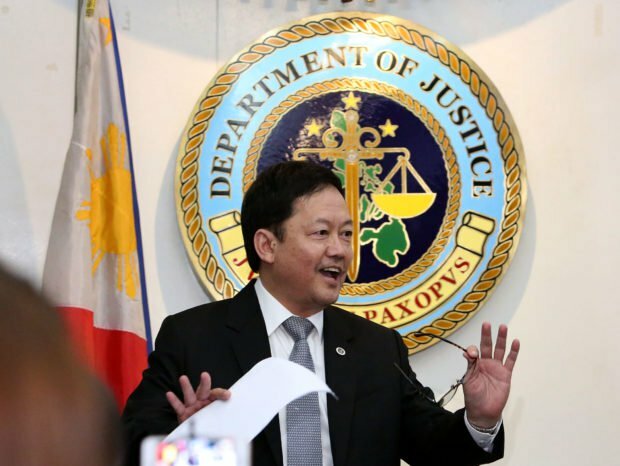 Home / News / Justice Chief delighted on SC decision refusing to grant TRO to Trillanes: "The DOJ is very happy"
Justice Chief delighted on SC decision refusing to grant TRO to Trillanes: "The DOJ is very happy"
Department of Justice (DOJ) Secretary Menardo Guevarra on Tuesday expressed happiness on the decision of the Supreme Court (SC) which turn down the petition filed by opposition Senator Antonio Trillanes IV’ seeking the issuance of a temporary restraining order (TRO) against President Rodrigo Duterte's Proclamation No. 572, which declared the amnesty granted to him as void ab initio. 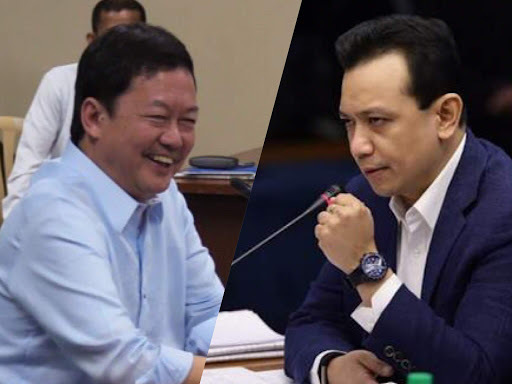 Guevarra also said that the decision of the high court showed that the SC recognizes that the issue of validity of President Duterte’s order revoking the amnesty of Trillanes involves factual questions that only the trial courts may properly resolve. "In the process, the Supreme Court has also acknowledged the trial courts’ continuing jurisdiction over the coup d’ etat and rebellion cases, notwithstanding the alleged 'finality' of the orders of dismissal based on the grant of amnesty to Sen. Trillanes," he said. In this developing issue, the en banc leaves the decision to the Makati Regional Trial Court whether or not issue the alias warrant of arrest and hold departure order against Trillanes. “Only a trial court and in certain cases, the Court of Appeals are trier of facts. Hence it is appropriate that the Makati RTC should be given leeway in exercising their concurrent jurisdiction,” read Atty. Maria Victoria Gleoresty Guerra, the SC’s acting Chief PIO. Referring on the recent statement of Duterte thar embattled Trillanes will not be arrested without a warrant of arrest. "The Court takes judicial notice of the categorical pronouncement of President Duterte that Senator Trillanes will not be apprehended, detained or taken into custody unless a warrant of arrest has been issued by the trial court; and, thus, there is no extreme and urgent necessity for the Court to issue an injunctive relief considering that the respondents have acknowledged Senator Trillanes' right to due process," Guerra added. 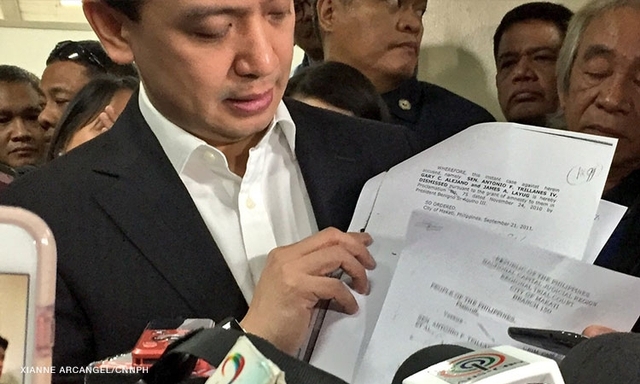 Last September 6, Sen. Trillanes, brought his legal battle with President Rodrigo Duterte’s Proclamation 572 to the Supreme Court where he filed a petition for certiorari to challenge the constitutionality of the proclamation that said that the amnesty granted to him was void from the beginning. He asked the Highest court of the land for a TRO to stop the members of the Armed Forces of the Philippines (AFP) and the Philippine National Police (PNP) from arresting him.